The Writing, Rhetoric, and Publication minor and concentration combine traditional approaches to writing and editing with new approaches made available by visual and digital media. The program provides students with knowledge and experiences that are integral to professional and civic life in the 21st Century: the ability to create different kinds of texts for a variety of audiences in a variety of media. 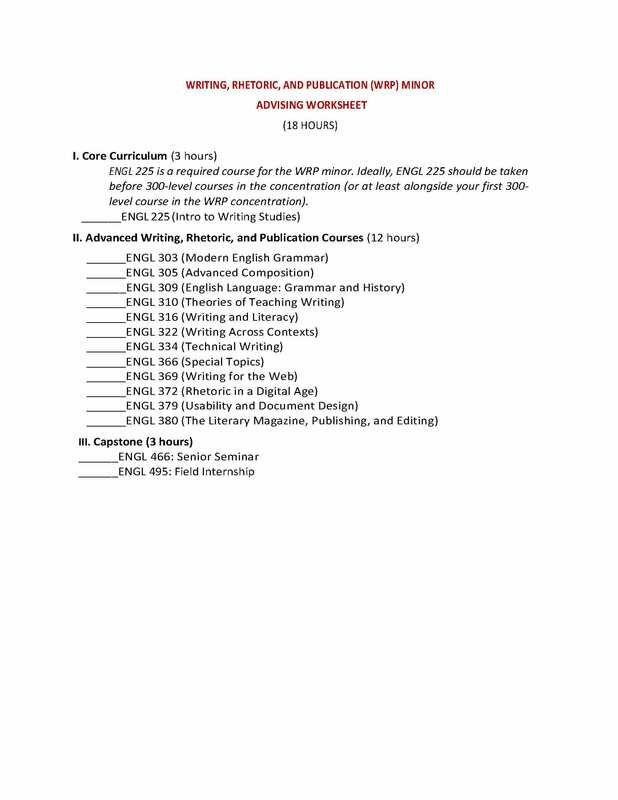 Courses included in the Writing, Rhetoric, and Publication minor and concentration address three areas of study: writing and rhetorical studies; digital and technical writing; and editing, style, and production. Each area of study includes relevant writing theory and opportunities to produce writing for multiple audiences and in multiple media. The minor was designed to provide students with different kinds of opportunities to deepen their practice in writing for their own purposes and audiences. Through coursework in digital and technical writing, writing and rhetorical theory, and language and literacy, WRP minors deepen what they know and can do as writers—whether that be the creation of multimedia campaigns in pre-health and marketing; the creation of digital texts for computing in the arts; or producing texts for publication to distribute to different publics like clients, citizens, customers, patients. The BA in English with a WRP concentration was designed for those interested in combining experiences in reading, intepretation, and creative writing with a sustained engagement with writing in different media (sound, visuals, and alphabetic text) for a variety of audiences and purposes. 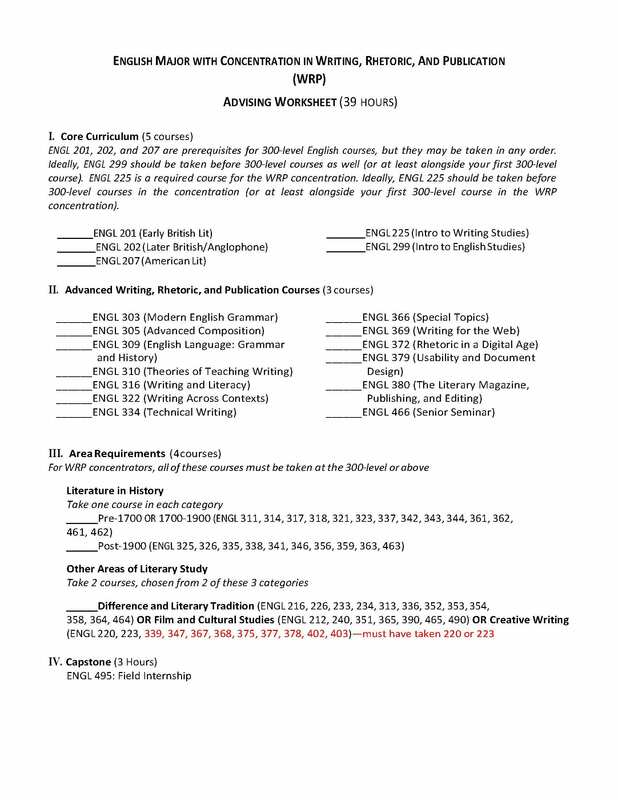 WRP concentrators will have opportunity to learn how to effectively write for print and screen while studying writing-related issues like identity, culture, historical context, and technology. 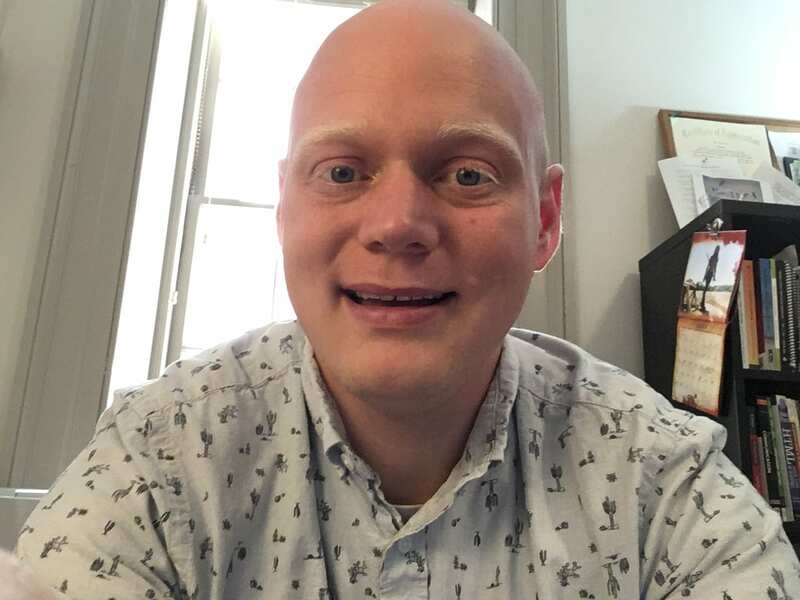 The WRP program has added another layer to my knowledge base in the field of digital media and what I have learned in my communications classes. The courses I have taken are hands on and have allowed me to practice skills such as working with SEO, creating social media content, writing content for various audiences, creating podcasts and many others that I have been able to use in other classes and in internships. I love that I am able to take courses that provide me with practical skills I know I will use often in the future. I chose this concentration in order to market some of my literary abilities to suit multiple professions. And while it has done this, the WRP concentration has also expanded my views on what it means to be literate, what it means to truly write within genres and what it means to read with intentionality. And I am a better writer, reader and consumer for it. I have, throughout my academic career, always identified as a writer, but I have never been sure if I could make a career out of it. My confidence in my creative writing skills was becoming weaker as I struggled through my Poetry class, and I was beginning to question the usefulness of my English Major as Sophomore year came to an end. Luckily, my attitude towards my English major shifted as I began my WRP concentration in the class, "Writing for the Web." This class explored the relationship between writing and technology, which made me realize the many ways writing takes shape in this digital era. I was no longer anxious about dedicating my life to writing fictional stories because I realized the amount of opportunities there are for writers in this new, digitized writing environment. From podcasts to social media, writing is constantly and consistently available to us, which makes me very optimistic in the necessity of English Majors who don't just read and write fictional stories. My goal is to use my ability to communicate information with writing in combination for my passion for the arts to become a music journalist. In this particular path, I believe that the WRP concentration will aid in my success by giving me the knowledge and tools I need to be the best writer I can be. A defining feature of professional, public, and private life in the 21st century is the ability to write messages in a range of media for different purposes and audiences. In other words, today's writers must be flexible, able to adapt to the demands of diferent writing contexts and writing media. The WRP program provides students with knowledge and practice to help them become more effective and flexible writers. The WRP program offers students opportunities to learn more about who they are as writers and how writing happens online, in community settings, in workplaces, and elsewhere. Students gain experience with different writing genres and technologies that prepare them for careers in editing, publishing, marketing, and other writing-centered professions. As Ashley Harvey, a WRP concentrator, has explained about the value of writing, "To be a better writer, you need to write every day. Write to express; write to inform; write to remember.’ WRP, indeed, helps students become better writers by studying theories about writing and by writing different genres for various venues."